Clermont Party Buses are an affordable and relaxing way to see the "city beautiful" Orlando. The Clermont Party Bus Service of West Orlando provides luxury transportation for an affordable price. 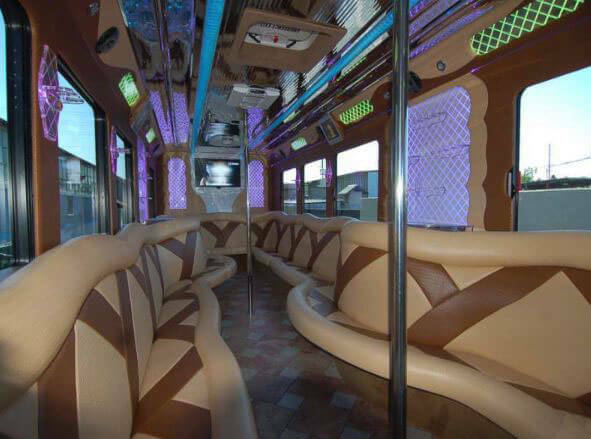 Rent a party bus in Clermont for Disney World group transportation. Clermont party buses are also great for Orlando airport shuttle service and trips to the Port of Tampa and Port Canaveral. Limo buses and charters in Clermont can be used as sightseeing buses for a daytrip to Tampa or a night out on the town to Downtown Disney. Most of the car services in Clermont are overpriced and charge extra per person but at Price 4 Limo, we can quote you a limo or party bus rental that is based on a flat hourly rate. We can usually offer additional discounts based on the area and duration of your Clermont party bus service. Preview Clermont Party Bus and Limo Fleet. 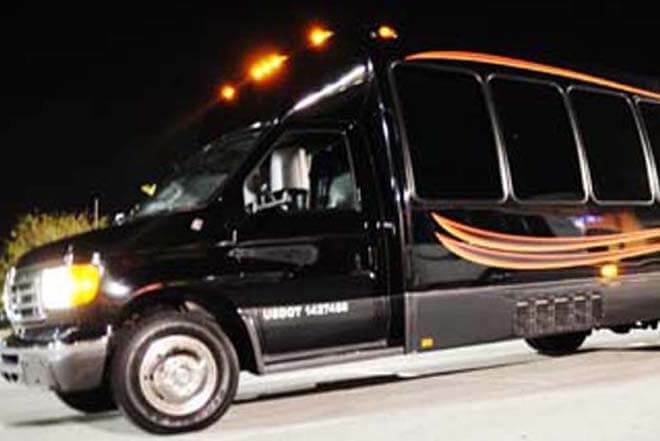 Party Buses in Clermont can pick you up from the bars and nightclubs in Orlando and Kissimmee after you have had one too many drinks. People use our wedding party buses in Clermont to transport their party to the reception hall after the ceremony for a great time. We also offer Wedding Limos and sedans in Clermont to make sure everyone has a ride. Bachelor Party Buses in Clermont offer state of the art facilities like wet bars, a sound system, HD TVs, a privacy curtain and even a bathroom. A Clermont mini bus is good for use on a 21st birthday party, a sweet 16 or a quinceanera. Little girls love our Pink Hummer Limo for their birthdays in Clermont. If you are with a group, Clermont Airport Bus is a cheap airport shuttle to Orlando International (MCO) or any of the smaller airports like Kissimmee Executive Airport. 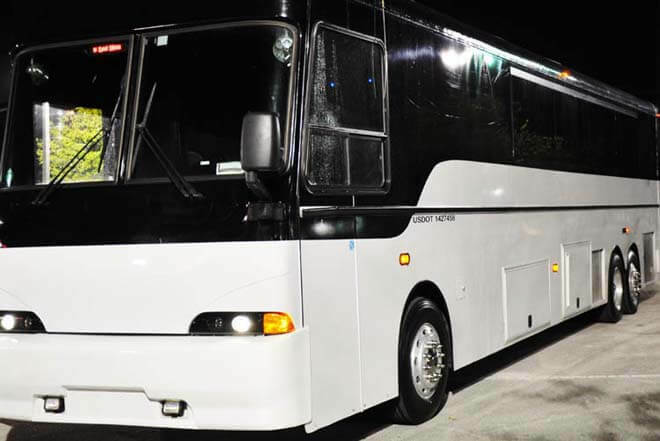 Executives use Clermont Party Buses and Limos as corporate transportation to Tampa and Orlando. With our fleet of Clermont Coach Buses, party buses and limos, we can provide executive luxury transportation all over Lake and Orang County. Allow us to take you around the beautiful Lake Minnehaha and the towns of Mascotte, Groveland and Oakland close to Clermont, Florida. If you need clients picked up for a conference at the Hampton Inn and Suites on Highway 50, Party Buses of Clermont can be there. Be sure to rent a party bus in Clermont to take you to see the Florida Citrus Tower on Highway 27. It really is an amazing sight. If you like, fishing then rent a party bus and head down toward the 5th Street Pier for some great fishing and shopping. 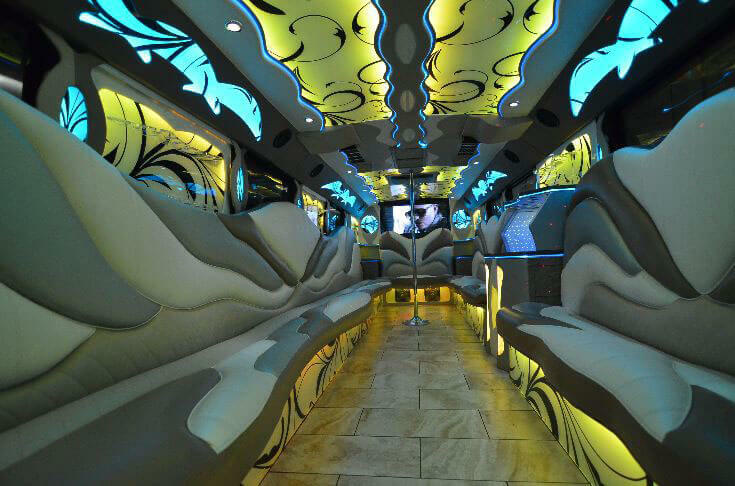 Prom Party Buses and Prom Limos in Clermont are very elegant and teenagers love to ride in them on their special day. Whether it's for a Prom, Graduation, Homecoming or just a class trip, Clermont Party buses is the top choice for many parents and school officials. Government officials in Clermont use our executive car and limo service of Clermont to attend important town hall meetings and big state dinners. Because our prices are so reasonable, they are actually saving the taxpayer in Clermont money when they use one of our vehicles for hire. Clermont Party Bus Service is a reliable and safe way to move around Clermont and all of Central Florida. Whether you need business transportation, a luxury limo or mini bus in Clermont, we can help you. Simply fill out the information in the Price 4 Limo search box on this page. We will contact you and confirm your booking. We will always give you the best rate we can. Clermont Party bus charges by the hour and can also agree on a flat rate. Remember, we want you to have a great time and can work with most budgets. The more people you have, the more affordable it gets. Make sure to book your Party Bus service in Clermont today on Price4Limo and avoid the frustration tomorrow.